Martha Berry responds to a letter Mr. Speer wrote when she was away for several months. She thanks him for the letter and hopes he will visit soon. 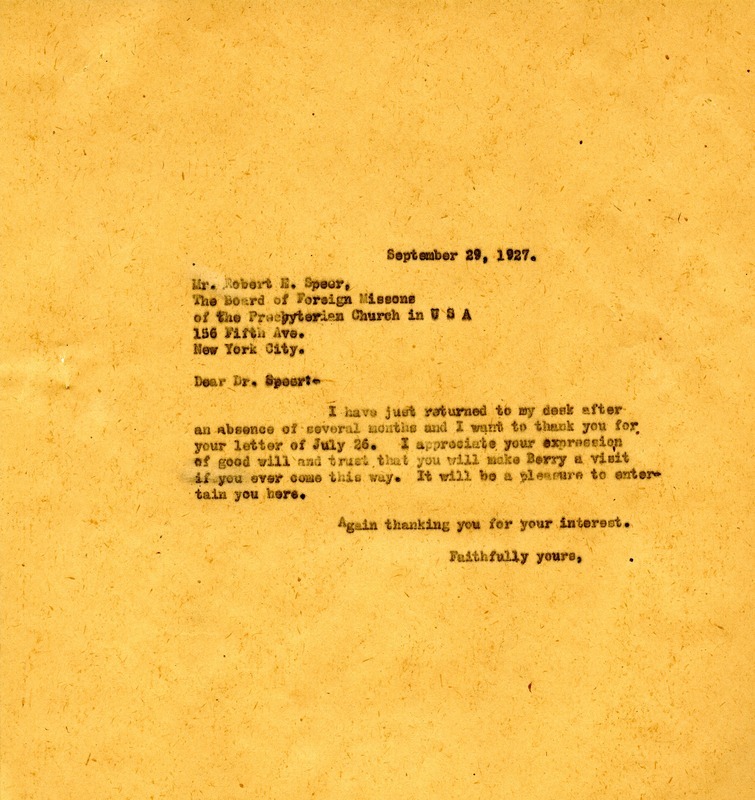 Presbyterian Church, Robert Speer, The Board of Foreign Missions of the Presbyterian Church in the U.S.A.
Martha Berry, “Letter to Robert Speer from Martha Berry.” Martha Berry Digital Archive. Eds. Schlitz, Stephanie A., Olivia Mund, Rachel Renaud, et al. Mount Berry: Berry College, 2012. accessed April 20, 2019, https://mbda.berry.edu/items/show/5098.